How Can I Get Money For My Small Business? Want to get money for your small business? Silver Rock Funding can help your business get cash for anything. Winter is coming. No that wasn’t a Game of Thrones reference. Here in the US daylight savings is upon us and the seasons will soon shift. Silver Rock Funding can help you get money during this, often complicated, time. There’s winterization funding, seasonal businesses and services, business renovations, and other business expenses that we see increase during this time of the year. How can a small business get money during the winter? As weather changes, your needs as a business owner will change. Whether you need to hire additional staff for the coming months or more funding for more product demand, Silver Rock Funding can assist you with funding. 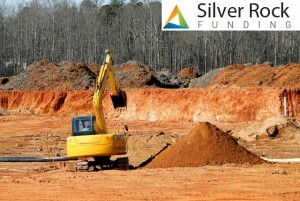 Silver Rock Funding can match you with one of our lending partners. Silver Rock Funding acts as a matching service for business owners that need loans. It’s now more easier than ever to get a business investor. How quickly can a small business get money during the winter? These partners can connect small business owners with money in a matter of days. In fact, approvals take only 24 hours. Funding for hiring Your business may be looking to fill one position. You might be opening a new location and need a new fleet of staff. No matter what, small business funding from the alternative lenders at Silver Rock Funding is available. Investing in real estate Ever wondered how you could get money for business real estate? A business loan for real estate is no more complex than any other funding option. Some online businesses might belooking to delve into the brick and mortar space. Other small businesses might have found success and want to expand. Whether you are looking to lease a property or build from the ground up, you could be approved for funding in less than 24 hours with Silver Rock Funding. Equipment funding Any equipment that might be used purchased for the day-to-day operations of your business could be funded by equipment financing. From medical and dental machinery to restaurant supplies an equipment loan could be essential to your business success. Other equipment expenses might include; computers, printers, furniture, vehicles, phones, industrial and specialized equipment, and more. Funding between $25,000 and $500,000 can be used with no restrictions. Your business loan is added directly to your business bank account. Terms are flexible and repayment is simple. Rates average between 1-2% monthly. Excess funding can be used for any other business expense. Get started now and apply for an affordable business loan today! Next Post: Could You Get a Business Loan Before the End of the Year?